The Frogmore Press was founded by André Evans and Jeremy Page at the Frogmore Tea Rooms in Folkestone in 1983. The Press has published hundreds of writers in its now bi-annual magazine The Frogmore Papers and also in individual collections and anthologies. Early work by numerous writers who have gone on to consolidate their reputations elsewhere appeared in the magazine. Poems by Sophie Hannah, Tobias Hill, Sarah Jackson, Katherine Pierpoint, Linda France, Tamar Yoseloff and many more were published in The Frogmore Papers before re-appearing in their authors’ first collections. Work by established writers such as Brian Aldiss, John Mole, Clare Pollard, Carole Satyamurti, Pauline Stainer and Andrew Waterman has also appeared, alongside work by unknown or emerging writers. 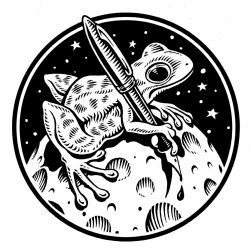 The Frogmore Press exists for readers and writers. It receives no grant aid and welcomes subscriptions to The Frogmore Papers and purchases from the back catalogue. Alexandra Loske and Jeremy Page a stone’s throw from the site of the Frogmore Tea Rooms in Folkestone. 1983 The Frogmore Press is founded at the Frogmore Tea–Rooms in Folkestone ‘to publish work which above all else possesses quality and a respect for the written word; which uses words to subvert, to innovate, to communicate ideas relevant to the age, articulately, undogmatically, with clarity, integrity and vision.’ The Press is established at its first address, 10 Marten Road, Folkestone. In May the first issue of The Frogmore Papers appears, edited by Jeremy Page, with a cover by Jane Clegg. A second issue, edited by André Evans, is published in August. 1984 Numbers 3 – 6 of The Frogmore Papers appear. Number 3 is co-edited by Fiona Niman and Jeremy Page. Jeremy Page assumes sole editorship from number 4. André Evans convenes the first Crabflower Club retreat at the School of English Studies in Folkestone. This results in the publication of an experiment in collective short story writing, ‘The Meal’, by participants Simon Ashdown, Jeremy Cook, Marie Daniel, André Evans, Fiona Niman and Jeremy Page, subsequently published as number one of The Journal of The Crabflower Club. Numbers two and three of the Journal are later devoted to the publication of a group created screenplay, ‘The Hibernation’. 1985 Numbers 7 – 10 of The Frogmore Papers are published. 1986 Numbers 11 – 14 of The Frogmore Papers appear. Number 13 celebrates the Papers’ county of origin with Images of Kent, which includes poetry by Margaret Browne, Bill Headdon, W H Petty and John Rice. Jonathan Hall edits a one-off Frogmore North from Newcastle. 1987 A new era for The Frogmore Papers: number 16 is the last issue to appear in A4 format. A double issue – number 17/18 – with a cover by Emmanuela di Girolamo heralds the new ‘tabloid’ (A5) era. André Evans establishes the Frogmore Foundation to endow the Frogmore Poetry Prize. David Satherley is awarded the inaugural Prize by John Rice and wins the princely sum of twenty-five guineas. 1988 Number 20 of The Frogmore Papers features poetry from Geoffrey Holloway and B C Leale and prose from Dorothy Nimmo. Caroline Price wins the second Frogmore Poetry Prize. Jane Applebee becomes the Papers’ first assistant editor. 1989 The Press moves to 42 Morehall Avenue, Folkestone. Poetry by Elizabeth Garrett is published in number 26 of The Frogmore Papers. Alan Morris joins the editorial team. Bill Headdon is awarded the third Frogmore Poetry Prize by Geoffrey Holloway. The Crabflower Pamphlets series is inaugurated with the publication of Bliss by Jeremy Page. A slim anthology, Frogmore Poetry, edited by Jeremy Page and Antony Powell, follows. 1990 The double issue number 28/29 features Merryn Williams’ translations of Lorca. Maria Judd takes over as assistant editor. Caroline Price is awarded the Frogmore Poetry Prize (by Geoffrey Holloway), winning for the second time in the Prize’s four-year history. Linda France, Patricia Pogson, Myra Schneider and Michael Swan all make their first appearance in the Papers. Peter Marshall’s The Road Remains is published in Crabflower Pamphlets. 1991 Neil Gower begins his long association with the Papers by designing a typically elegant cover for number 31. Matthew Mead’s work appears for the first time in the same issue. John Latham wins the fifth Frogmore Poetry Prize. Bob Mitchell’s Flexostructuralist classic Bush Klaxon Has A Body Like A Trio Sonata is published in Crabflower Pamphlets. 1992 Sophie Hannah joins the Papers as reviews editor. The final issue of the year features Allan Hardcastle’s first cover and poems by Katherine Pierpoint. John Latham wins the Frogmore Poetry Prize for the second year in succession. Three new Crabflower Pamphlets are published: The Frogmore Poetry Prize Anthology 1987 – 1991, New Pastorals by Robert Etty and Mongoose On His Shoulder by Geoffrey Holloway. 1993 A double issue – numbers 39/40 – marks the Papers’ tenth birthday. Poems by Sophie Hannah and Pauline Stainer are published. Caroline Price wins the Frogmore Poetry Prize for the third time (here adjudicated by Robert Etty). Estocada by Michael Paul Hogan, Correcting Fluid by David Lightfoot, Secret Dormitories by Jeremy Page and The Frogmore Papers Anthology are all published in Crabflower Pamphlets. 1994 The Papers become bi-annual. Diane Brown wins the Frogmore Poetry Prize. Crabflower Pamphlets publish Sophie Hannah’s Second Helping Of Your Heart. 1995 James Brockway, Jill Dawson, John Harvey, John Mole and Peter Russell appear in the Papers for the first time. Tobias Hill wins the Frogmore Poetry Prize. A joint collection by W H Petty and Robert Roberts entitled Genius Loci is published in Crabflower Pamphlets. 1996 Kate Pemberton becomes the Papers’ assistant editor. They promptly become much better turned out. Mario Petrucci wins the Frogmore Poetry Prize. Carole Satyamurti appears for the first time. Objects On Hills by Giles Goodland is published in Crabflower Pamphlets and in December Decade, celebrating the first ten years of the Frogmore Poetry Prize and edited by Jeremy Page and Kate Pemberton, is launched with readings from Madeleine Munro and Mario Petrucci in the splendour of 106 Piccadilly. 1997 A significant year. The Silent Key, edited by Kate Pemberton, is published as the final Crabflower Pamphlet. The Papers’ 50th number is a bumper edition. The Frogmore Press publishes Marita Over’s debut collection Other Lilies, which is launched at 106 Piccadilly. Gina Wilson wins the Frogmore Poetry Prize. 1998 Number 51 of the Papers is dedicated to the memory of poet Geoffrey Holloway, 1918 – 1997. Ian Caws and Tamar Yoseloff appear for the first time. Number 52 is launched at 106 Piccadilly in November. Ross Cogan wins the Frogmore Poetry Prize. 1999 Number 54 of the Papers is launched at 106 Piccadilly. Elizabeth Bartlett appears for the first time. Joan Benner wins the Frogmore Poetry Prize. 2000 Catherine Smith takes over as reviews editor on the Papers. A short story by Brian Aldiss is published in number 55. Ruth Bidgood, John Whitworth and Susan Wicks appear for the first time. 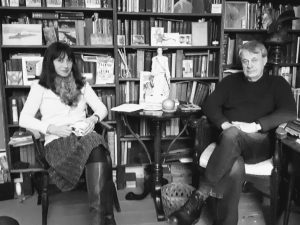 Poetry South East 2000, reviving a tradition of regional anthologies, is published by the Frogmore Press and launched at the Royal Oak in Lewes in April with readings by Ros Barber, Catherine Smith and Dan Wyke. The Papers’ 56th number proves to be the most controversial issue to date, with contributions from Robert Hamberger, Alexis Lykiard and James Mckenzie provoking particularly strong reactions. Ann Alexander wins the Frogmore Poetry Prize. 2001 Number 57 of the Papers is dedicated to the memory of poet and translator James Brockway (1916 – 2000). The Frogmore Press publishes The Alternative Version by Jeremy Page. Gerald Watts wins the 15th Frogmore Poetry Prize. 2003 Alexandra Loske becomes Development Manager for the Papers. Judith Kazantzis appears in their pages for the first time. Michael Swan’s debut collection When They Come For You is published and is launched at 106 Piccadilly with readings from the author, Marita Over and Jeremy Page. David Angel wins the Frogmore Poetry Prize. 2004 The Papers’ 21st birthday in May is celebrated in events at Lewes Library – with readings from Rachel Playforth, Catherine Smith and Michael Swan – and the Troubadour, Old Brompton Road, with readings from Clare Best, Carrie Etter, Clive Eastwood, Michael Curtis, Michael Swan and Peter Carpenter. The Frogmore Press publishes Three Voices, poetry by Peter Easter, Ayala Kingsley and Rachel Playforth. Howard Wright wins the Frogmore Poetry Prize. 2005 The Papers acquire an editorial board comprising the talents of Clare Best, Victoria Buckley-Jennings, Alexandra Loske, Rachel Playforth and Peter Stewart. The work of Andrew Waterman appears for the first time. Julie-ann Rowell wins the Frogmore Poetry Prize. 2006 John Fowler creates a memorable cover for the Papers’ 67th number. Arlene Ang wins the Frogmore Poetry Prize. 2007 The Papers 69th number receives a favourable mention from Travis Elborough in the Guardian. Jeremy Page is interviewed in Sphinx. A short short by Tania Hershman is published in 69 and Clare Pollard and Joe Sheerin appear in 70, which is launched in a series of events in the autumn: Ros Barber, Clare Best, Judith Kazantzis, John McCullough, Rachel Playforth and Catherine Smith read at the Komedia in Brighton; Ian Caws joins the line-up for an event at the Meeting House, University of Sussex; Peter Carpenter, Marita Over, Mario Petrucci, Caroline Price, Catherine Smith, Siriol Troup, Tamar Yoseloff and Gregory Warren Wilson read at the Troubadour, Old Brompton Road; and finally Jeremy Page, Rachel Playforth, Joe Sheerin and Catherine Smith read at Lewes Live Literature. Peter Marshall wins the Frogmore Poetry Prize. 2008 Ellen de Vries joins the editorial board of the Papers. Number 71 features poetry in translation with translations by Maria Jastrzebska, Helen Mort, Clare Pollard, Andrew Waterman and others. Number 72 is a special edition celebrating the first Folkestone Triennial. Gill Andrews wins the Frogmore Poetry Prize. 2009 Frogmore Poets Ros Barber, Jeremy Page, Rachel Playforth, Joe Sheerin and Ellen de Vries read at the Lewes Arms in April. Louisa Michel becomes the Papers’ new Development Manager. Howard Wright wins the Frogmore Poetry Prize for the second time. 2010 The Frogmore Press moves to Lewes and Alexandra Loske becomes Managing Editor. Frogmore embraces Facebook and the world of blogging. morphrog, Frogmore’s online journal edited by Jeremy Page and Peter Stewart and promising ‘poetry in the extreme’, is launched. Frogmore Poets (John McCullough, Jeremy Page, Catherine Smith, Jackie Wills) read at the New Venture Theatre, Brighton, in January and Poetry South East 2010, edited by Jeremy Page and Catherine Smith, is launched there in October with readings by Ros Barber, Brendan Cleary, Maria Jastrzebska, Rachel Playforth, Colette Sensier and Lorna Thorpe. A further launch event at the Meeting House, University of Sussex, is postponed in November because of a heavy fall of snow. A K S Shaw wins the Frogmore Poetry Prize. 2011 In January the rescheduled launch of Poetry South East 2010 at the University of Sussex finally takes place. Clare Best, Tom Cunliffe, Alison Dunn, John Feakins, Charlotte Gann, Joanna Grigg, Lydia Hill, Judith Kazantzis, Julia O’Brien, Rachel Playforth and Sarah Salway read. Sharon Black wins the 25th Frogmore Poetry Prize. 2012 The Papers enter their thirtieth year of publication and the Press embraces Twitter. June sees the launch of Languages of Colour, edited by Alexandra Loske, at the Needlemakers in Lewes. September sees publication of the Papers’ eightieth number with a suitably striking cover design by Neil Gower. Poems from the Old Hill: a Lewes anthology edited by Jeremy Page is published and launched in October at a special thirtieth year of Frogmore celebration at the Needlemakers in Lewes. Emily Wills wins the Frogmore Poetry Prize. 2013 In May Frogmore Poets Maria Jastrzebska, John McCullough, Jeremy Page and Michaela Ridgway read at the New Venture Theatre in Brighton to celebrate thirty-five years of the Papers. John Mackay, Abegail Morley, Jeremy Worman and Tamar Yoseloff read at the Poetry Café in Covent Garden. And Frogmore founders André Evans and Jeremy Page read at the Amphitheatre in Folkestone. Emily Wills is awarded the Frogmore Poetry Prize for the second year running. Leah Fusco designs the cover for number 82 of the Papers. 2014 Long-time Frogmore associate Carol Lewis creates her first cover for the Papers (number 83).The issue is formally launched in June at an event organised by former Assistant Editor Kate Pemberton at Karamel in Wood Green, North London. Nancy Mattson, Fiona Moore, Jeremy Page and Jeremy Worman read. The New Cockaigne, a pamphlet by Catherine Smith, is published, as is The Needlewriters, edited by Alice Owens and Janet Sutherland, an anthology showcasing work by writers who have read at the legendary Needlewriters live literature events in Lewes. The anthology is launched in March at an event at the Needlemakers in Lewes with readings by the Needlewriters Collective: Liz Bahs, Clare Best, Charlotte Gann, Robin Houghton, Judith Kazantzis, Alice Owens, Jeremy Page, Janet Sutherland and Irving Weinman. Lesley Saunders wins the Frogmore Poetry Prize. 2015 The Frogmore Press publishes Cell, an artefact by Clare Best with artwork by Michaela Ridgway and design by Katy Mawhood. Sarah Barr wins the Frogmore Poetry Prize. 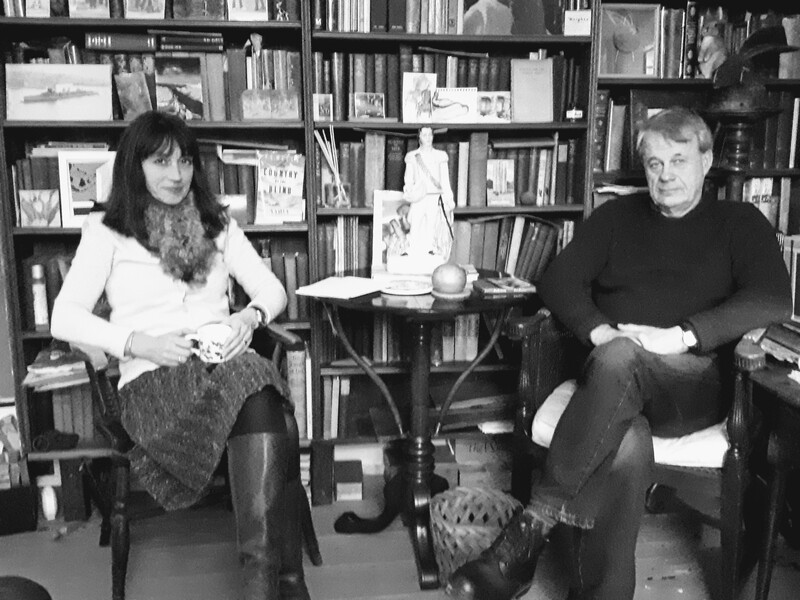 Rachel Cole and Jeremy Page edit True Tales from the Old Hill, an anthology of life writing published by the Frogmore Press in partnership with the Centre for Life History and Life Writing Research, which is published in the autumn and launched at the University of Sussex in October. 2016 True Tales is celebrated at an event at the Elephant and Castle in Lewes in July. Eve Jackson wins the 30th Frogmore Poetry Prize. Jeremy Page’s pamphlet Stepping Back: Resubmission for the Ordinary Level Examination in Psychogeography is launched at the Elephant and Castle in Lewes in November. Clare Best reads from Cell and Catherine Smith from The New Cockaigne at the event. 2017 In May Managing Editor Alexandra Loske curates ‘Written on Water’, an event at the Constable exhibition at Brighton Museum, with readings from Clare Booker, Maria Jastrzebska, Zel Norwood, Jeremy Page, Mandy Pannett, Chris Sykes, Marek Urbanowicz and others. In June Watermarks, published by the Frogmore Press in partnership with Pells Pool, Lewes and edited by Tanya Shadrick and Rachel Playforth, is launched at the Elephant and Castle in Lewes with readings from Janet Sutherland, Lyn Thomas and others. Emily Wills is awarded the Frogmore Poetry Prize for the third time, equalling Caroline Price’s achievement (John Latham and Howard Wright having both won twice). 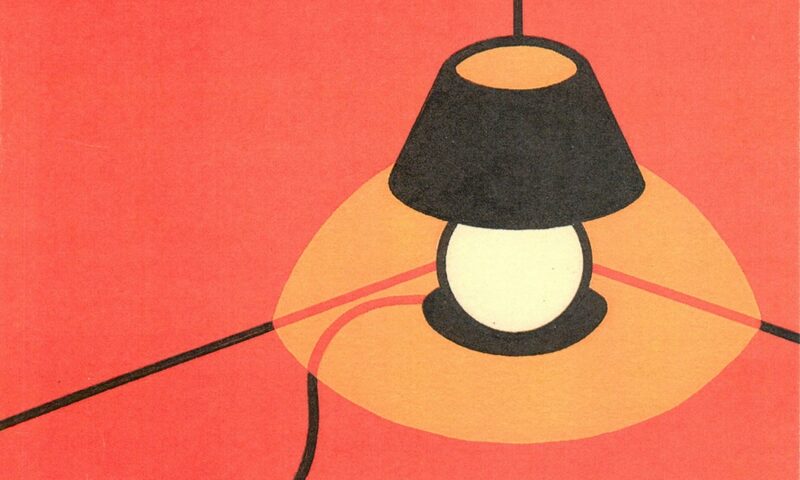 The ninetieth issue of The Frogmore Papers, with a Patrick Caulfield inspired cover by Neil Gower, is published. In September Frogmore Poets Michael Bartholomew-Biggs, Kitty Coles and Jeremy Page read at Lumen in Bloomsbury. Webmaster Richard Haynes bows out.